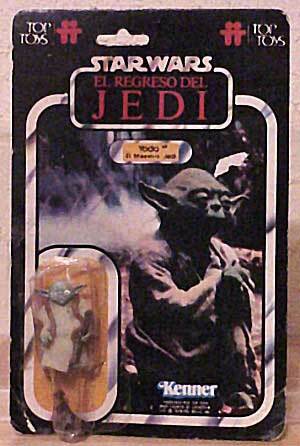 Top Toys is the name of the company responsible for distribution of vintage Star Wars toys in Argentina. This line is recognized for its slight variations and hard to find figures such as Yoda and Luke Jedi. This line has slowly been getting popular, but is nowhere near the level of demand as the Lili Ledy line.